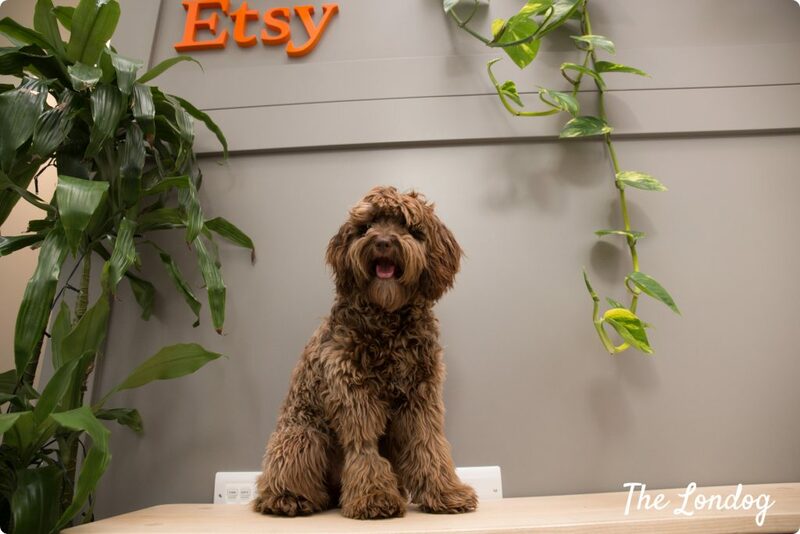 Global handmade and beautifully made products website Etsy has a long-standing dog culture history, which started back in 2005 at its US headquarter. 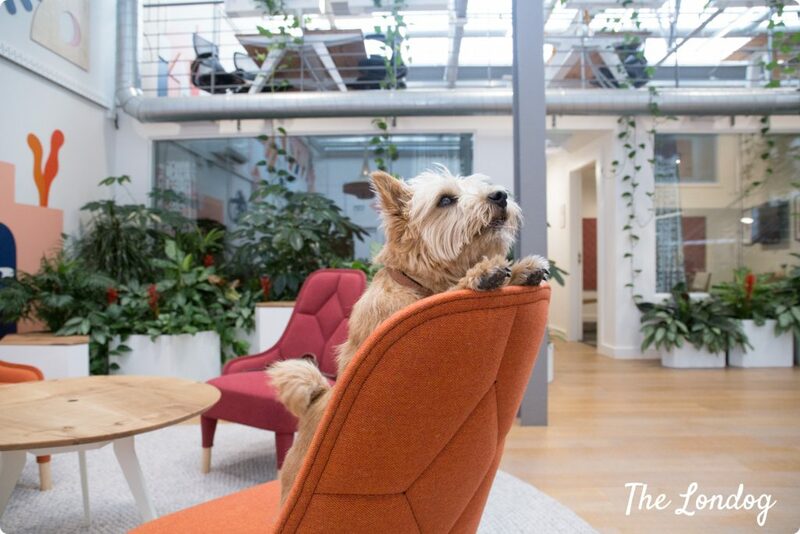 Its London office in Angel is equally welcoming to four-legged. 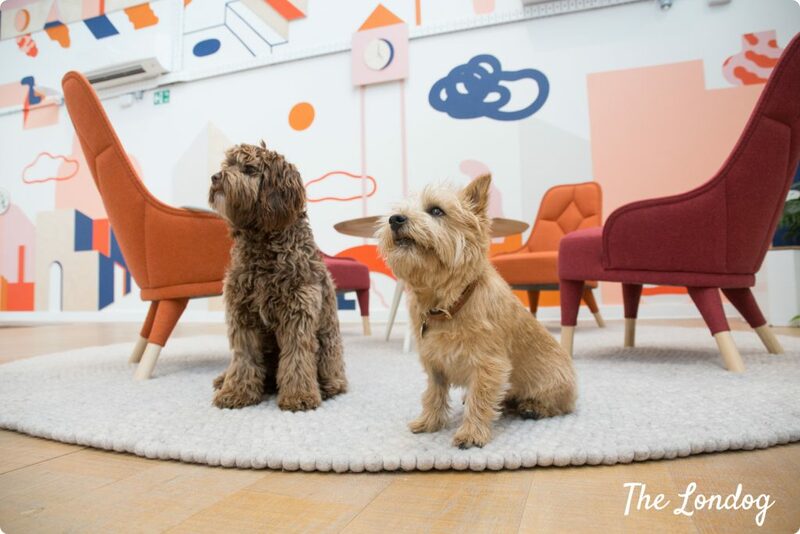 We met Walter and Blue, its furry crew, to discover office dog life at Etsy for the Office Dog Series. 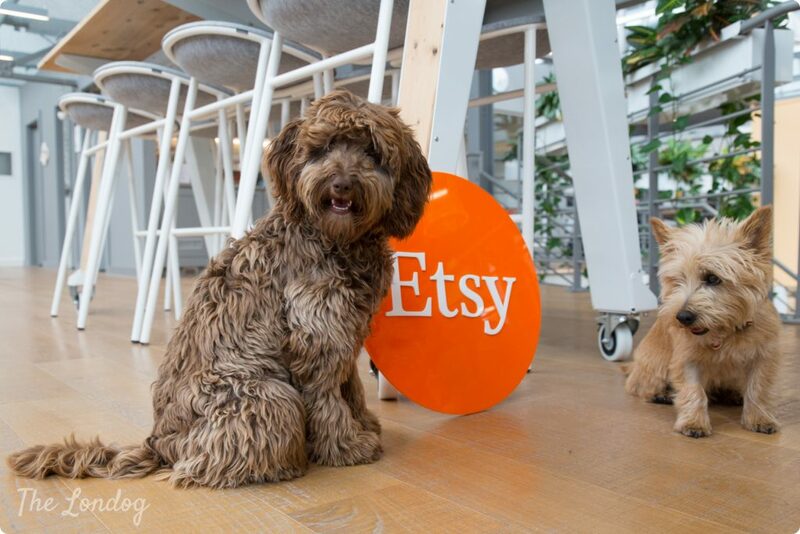 If, like me, you have been an Etsy enthusiast, spending hours during your winter weekends creating boards, discovering beautiful products from all over the world, watching Etsy stories and crafting with DYI kits bought on the platform, then you will probably find quite natural to find that dogs are part of their company culture. 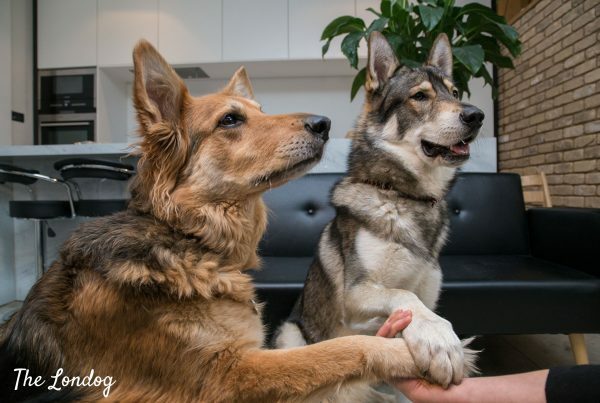 Indeed, in the US, office dogs had been also celebrated in Etsy’s blog and were the protagonists of a funny video about the pack. “Blue is desperate to be Walter’s best friend, but she’s still at the annoying bouncy puppy phase and Walter isn’t so keen on this. They get on best when Blue is asleep”, elaborates Blue’s mum, Jenny. It is an interesting couple, also if you consider that, according to Emily and Jenny, their fictional alter ego would respectively be Tyrion Lannister (“Small but smart!” says Emily), and Tiger from Winnie the Pooh! But let’s learn more about them. When at the office, Walter seems to be in his element. “Walt is very chilled as he’s been coming in since he was a puppy. His primary job is sleeping from 9-5 every day. Sometimes he won’t stir from 10-6”, says Emily. 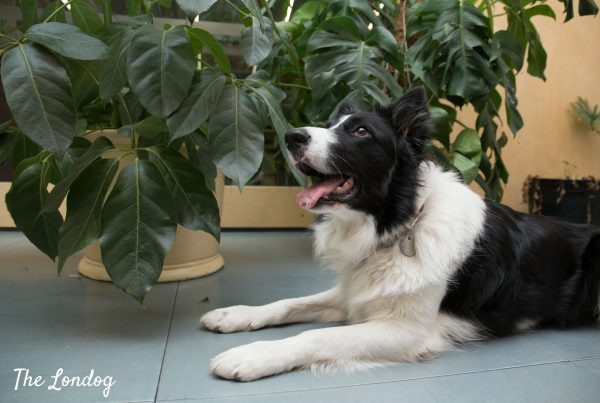 Loving: Sunbathing, chicken, walks and beanbags (a new-found love). Hating: Water. Anything from the rain to having a wash – if it was up to Walt he would never have a bath again -. Also, rocket: the only food we’ve found he won’t eat so far – he obviously has pretty high standards -. Funniest habit: As he sleeps most of the day this usually involves a fair amount of dreaming, including little barks and ‘chasing’. Most annoying habit: Whining when it gets to about 5pm and he’s ready to go home. Blue hasn’t turned one year old yet, and she is all fluffy, bouncy and playful. She is also known as Blue Bear, Blueberry Muffin and Bluebird. Of her, Jenny says, “she’s like a real-life teddy bear and loves a cuddle. Blue has so much affection for everyone. She’s quite dinky and fluffy – because of this she gets a lot of attention on the commute to work. If someone on the street even just looks at her or says ‘aw’ when they see her, Blue takes this as an invitation to be best friends with them and wants to say hello”. Loving: Cuddles, scavenging for food, playing fetch, and hide and seek. Hating: Being woken up in the mornings, she’s not a morning pup, having a bath. Funniest habit: Burying her chews in the house and using her nose to ‘cover’ it over even though there is no soil and it’s left in full view. Most annoying habit: Stealing socks, drinking out of our water glasses, licking peoples ankles at their desk, chasing cats. 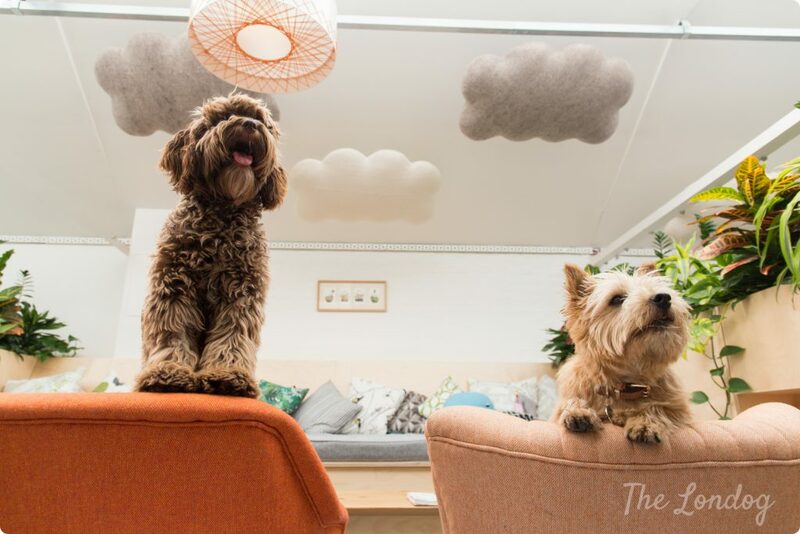 As you may gather from the photos, Etsy’s London office is all you could expect from a great marketplace company: a beautiful space full of natural light, crafty features such as balls of yarn, soft wool clouds hanging on the ceiling, colourful cushions and chairs, decorations and some goods on display too. Walter and Blue are a great addition to the atmosphere. 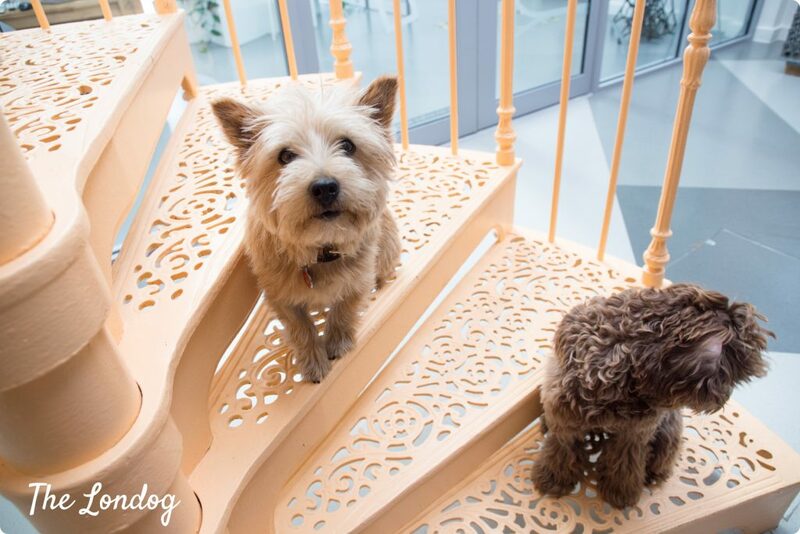 Their beds, crates and toys are located on the loft, by their human’s desks, where they spend most of their time. 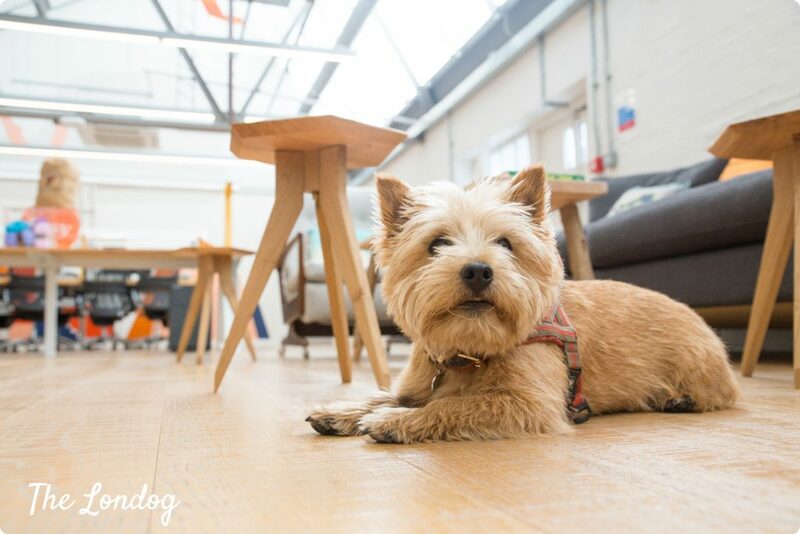 The qualities needed for a successful office dog life at Etsy are just a couple: “Being able to sleep all day and happy to be left alone at the desks when we’re in meetings”, says Jenny. The perks are countless. 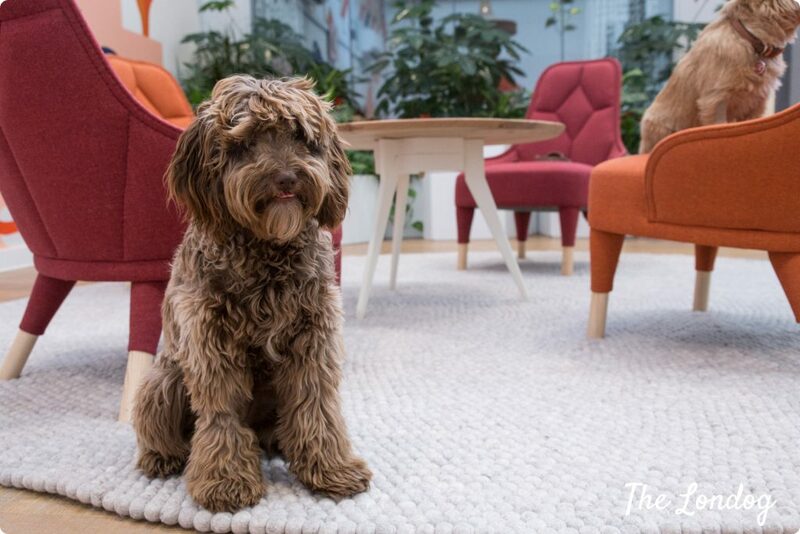 Emily loves having Walter in the office, as she says that this means she can keep him, and he is always there if someone wants a little cuddle. The same goes for Jenny, who adds that this makes for a more relaxed environment. And it’s a wrap! 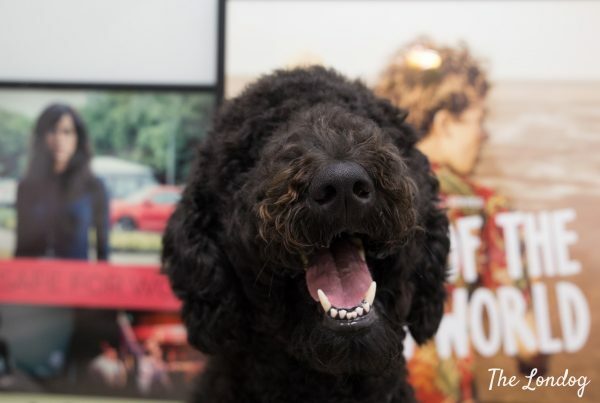 Also this edition of the Office Dog Series is concluded, stay in the look for the next one! Next PostWooferendum March: dogs peeing compilation and other "tails"